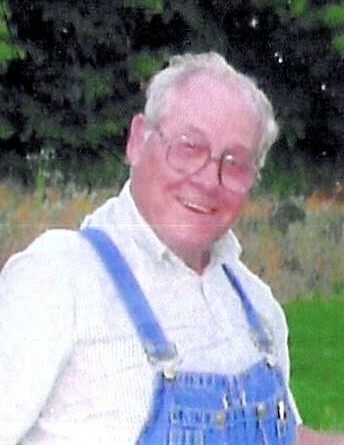 David Anderson, 84, of Scottsville, KY passed away Sunday, March 25, 2018 at his residence. The Russellville, KY native was retired employee of Aluminum Finishing in Indianapolis, IN and loved playing his guitar. He was a son of the late George William Daniel Anderson and Addie May Wooden Anderson. He was preceded in death by 1 son: Billy Joe Hill; 4 sisters: Esalee Clinard, Addie Ruth Hayes, Katherine Evetts and Tiny Anderson and 3 brothers: Willie D. Anderson, Cecil Anderson and George "Buck" Anderson. Funeral services will be 2:00 P.M. Thursday, March 29, 2018 at New Zion General Baptist Church with Bro. Landy Presley and Bro. Maxie Brawner officiating and burial in Shrum Cemetery. Visitation will be 11:00 A.M. to 9:00 P.M. Wednesday at Goad Funeral Home. The body will be taken to lie in state at the church after 9:00 A.M. Thursday until funeral time.